The lovely invention of getting chunks of metal and attaching them to the inside of your mouth with an elastic band? Yup, I’ve soooo been there. 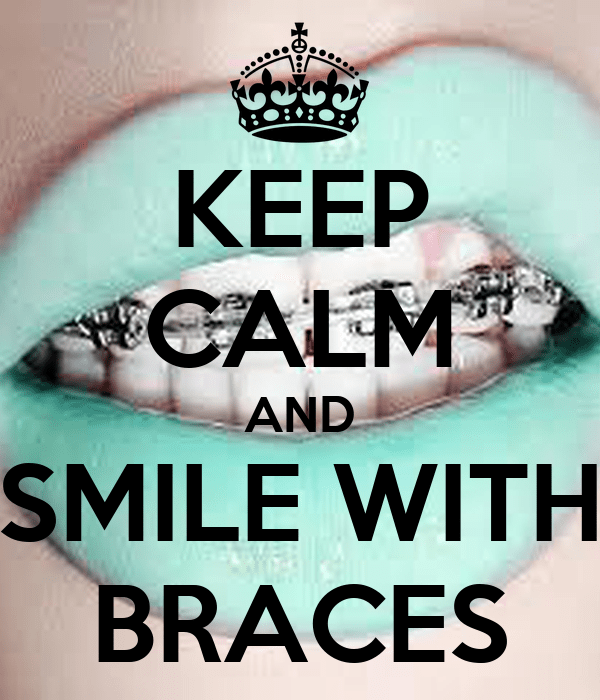 So, to people who have braces, or who are going to be newly ‘brace-ified’, brace yourself (teeheehee pun), for a few tips I would have given myself three years ago. 1. No one notices them. After the first few days, of course. But in all honesty, do you think you’re the only one without braces? Hell no! There are loads like you with braces. 2. The people who do notice, have them themselves- or just got them off. 3. It’s a conversation starter. You know without braces you’d have had hardly anything to talk about to the girl who sat next to you in choir. We both had braces, and couldn’t sing for our lives. So we just looked at everyone and kept track of their mouths. 4. People are genuinely curious- how long have you had them on for? Do they hurt? How bad were your teeth? Do they hurt? 5. They hurt. But only like once a month, when you get them tightened, so you’re alright. Take plenty of nurofen. 6. You can occasionally eat toffee and drink coke. For me this didn’t really turn out, as by the end of it all I still hate sugary things. I haven’t had a piece of gum in over three years. 7. No one’s gonna notice when they come off- not even your best friends mother (and I speak from personal experience). And as I’ve said before, the only people who do notice had them themselves. 8. Brush your teeth and use your elastics. Seriously, you could have got them off way sooner if you just listened! 9. Smile more- you will miss them the few days after they’re gone. And your smile looks awkward and forced when you don’t show them. Hahaha it’ll all work out in the end 😀 thanks for the comment! Hi eimzpink. Never had to suffer that torture. So nice to hear from you again. Thank you for liking my poem The Queue! Peace and Best Wishes. The Foureyed Poet. Oh yes! I’ve been there but it is worth it. Thank you for the follow and it is good to meet you.